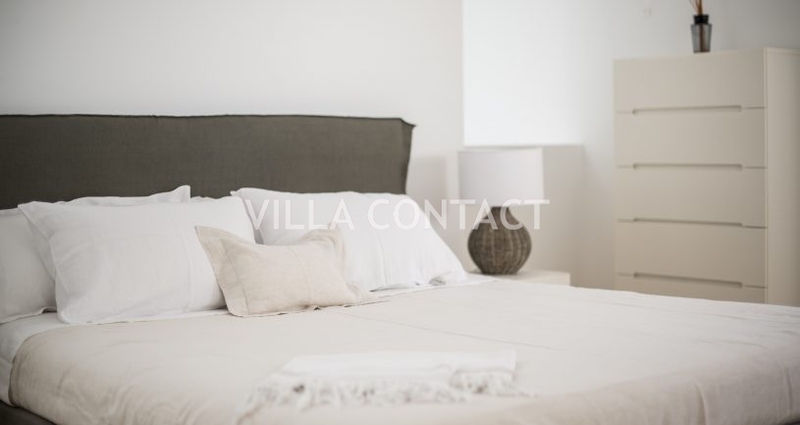 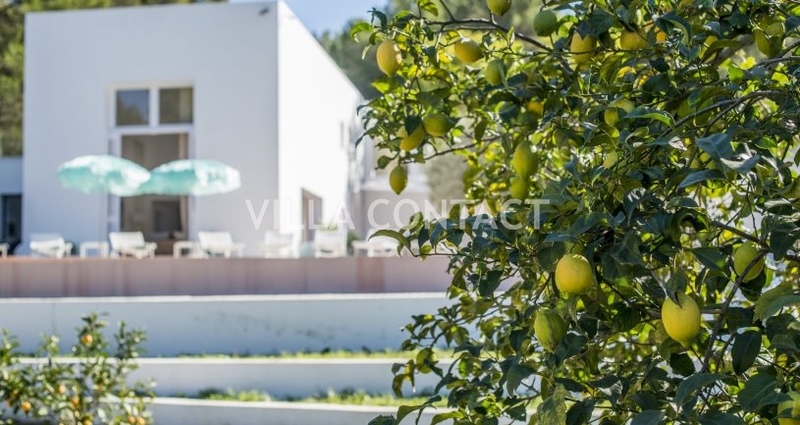 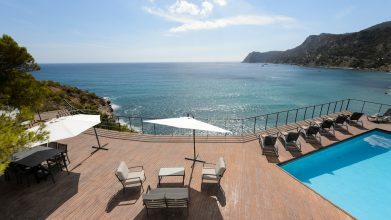 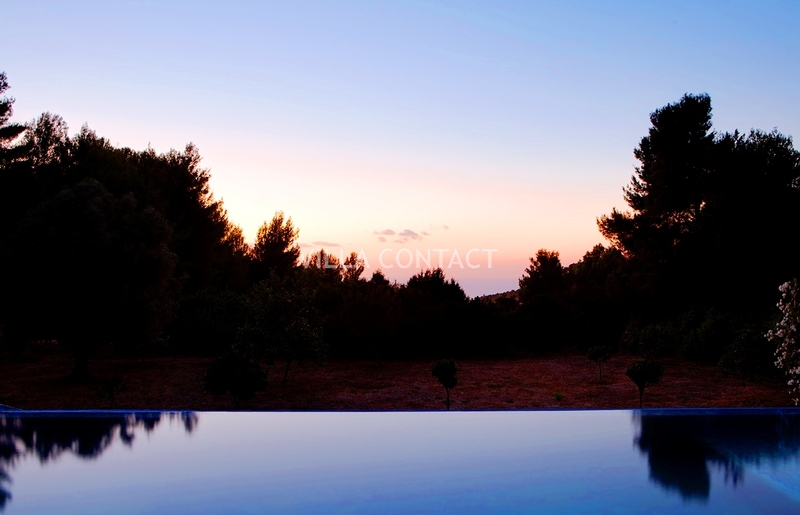 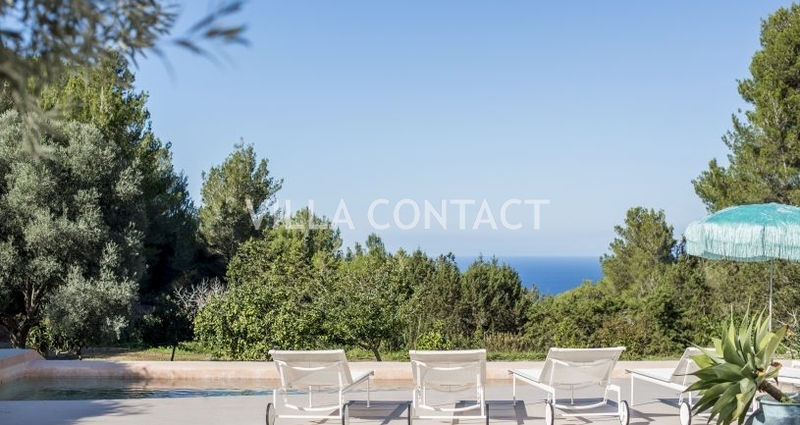 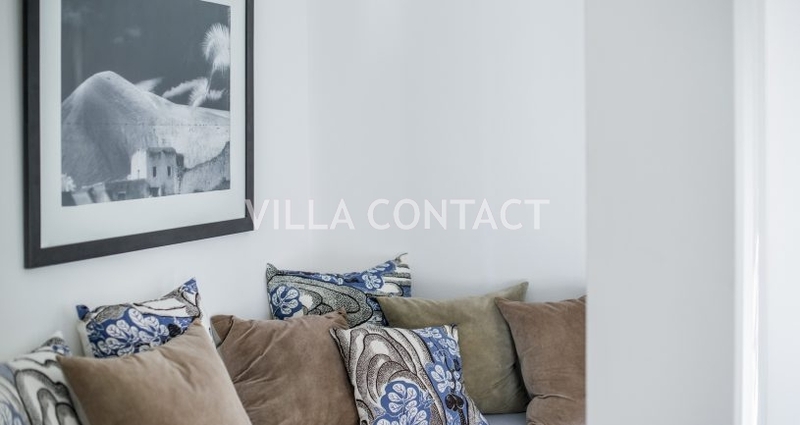 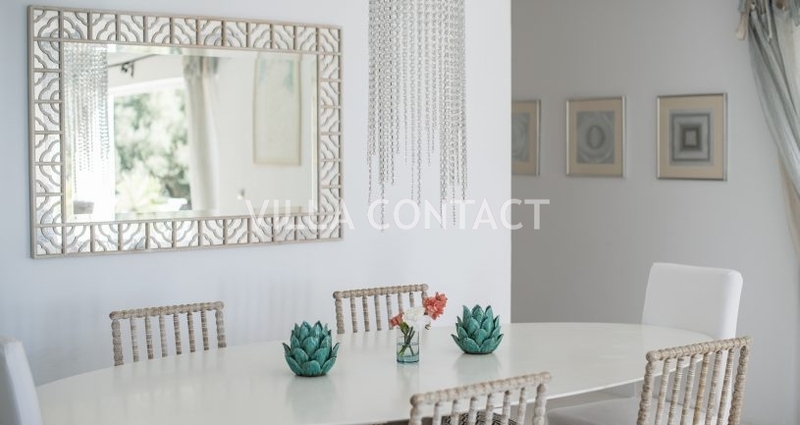 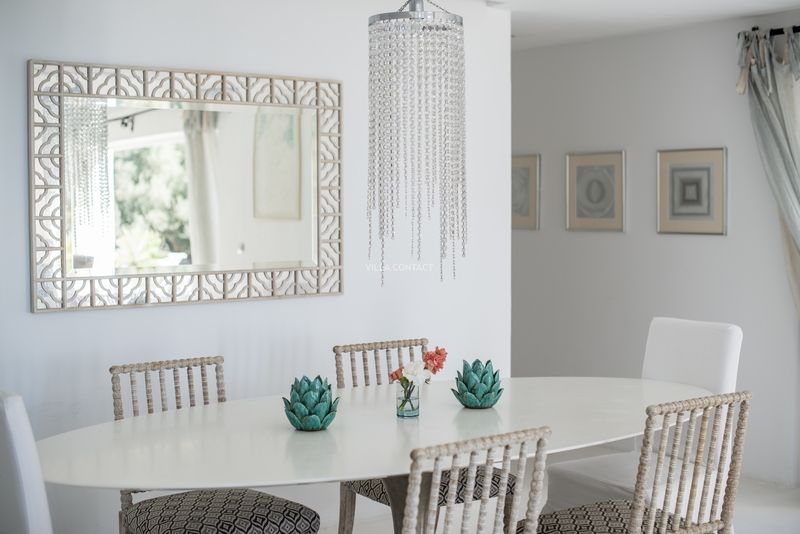 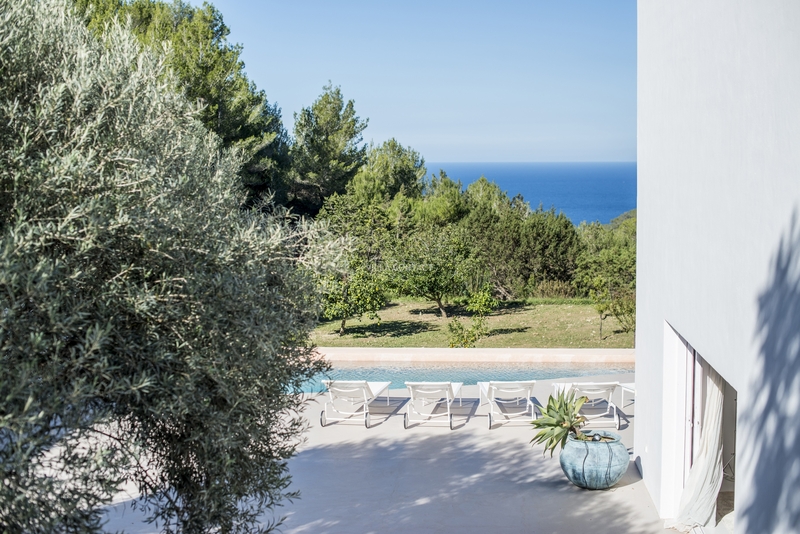 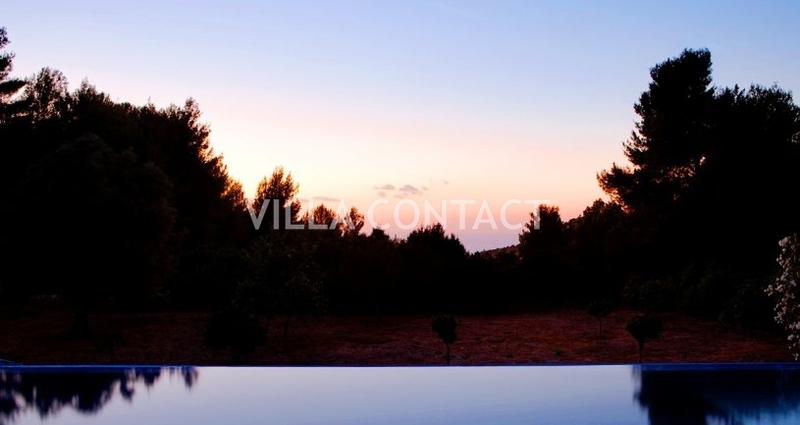 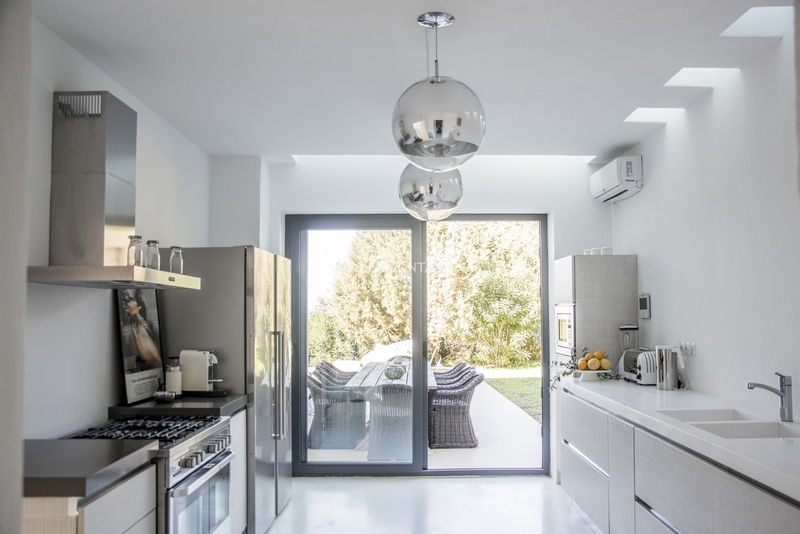 A unique opportunity to acquire a beautiful modern villa in the protected North part of Ibiza, close to the idyllic village of San Joan. 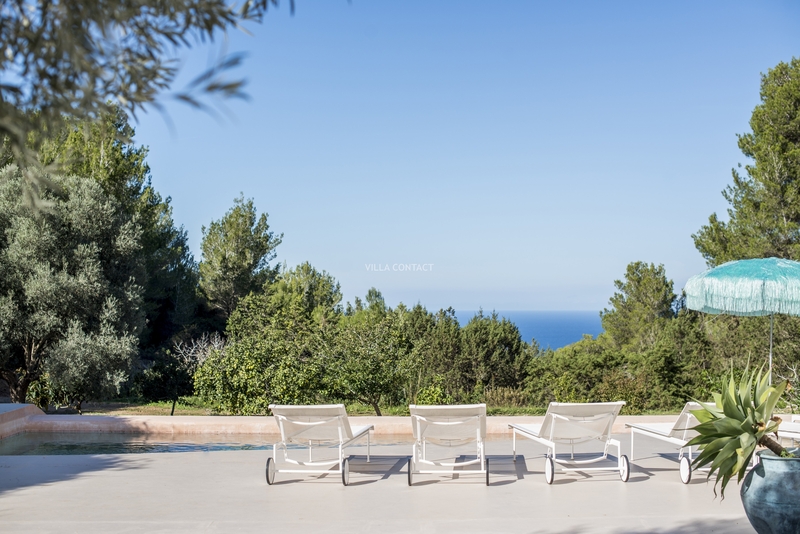 Set in a large 30,000m2 terraced plot in the San Joan valley with west facing sea views, the house itself occupies 450 square meters. 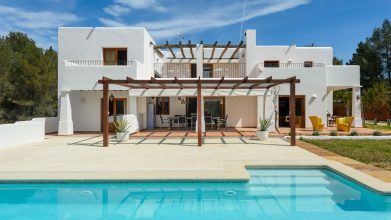 The lower part of house is surrounded by a large open terrace with sail shape infinity swimming pool and outdoor dining area. 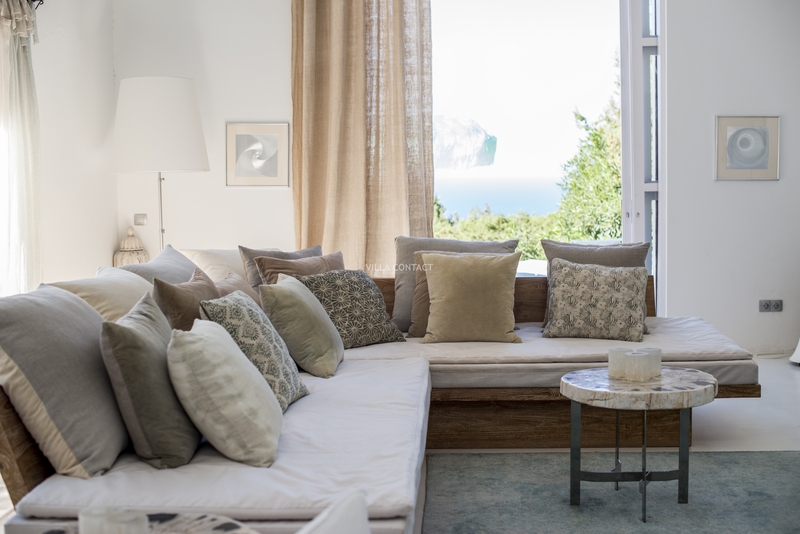 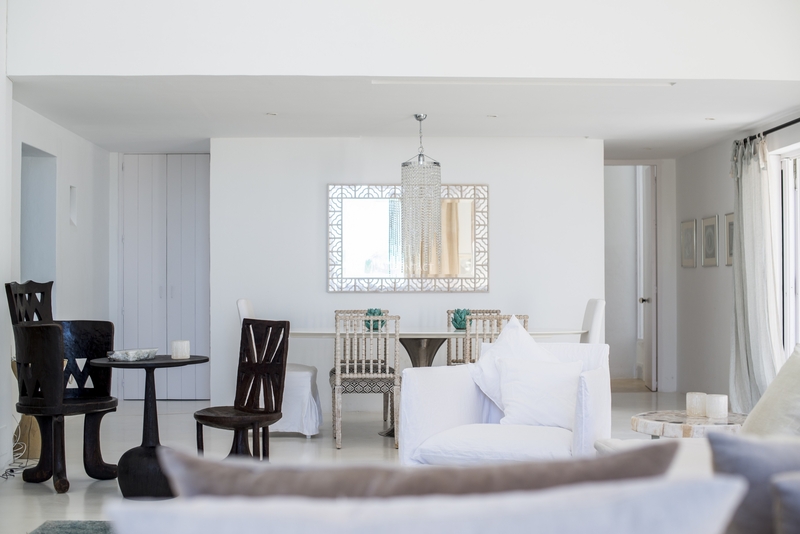 It includes vast double height drawing room with a sea view and dining area leading to separate kitchen with large pantry and doors to the garden.On the first floor is the master bedroom with a view extending over the sea plus a large en suite bathroom and private terrace and downstairs is a bathroom with shower. 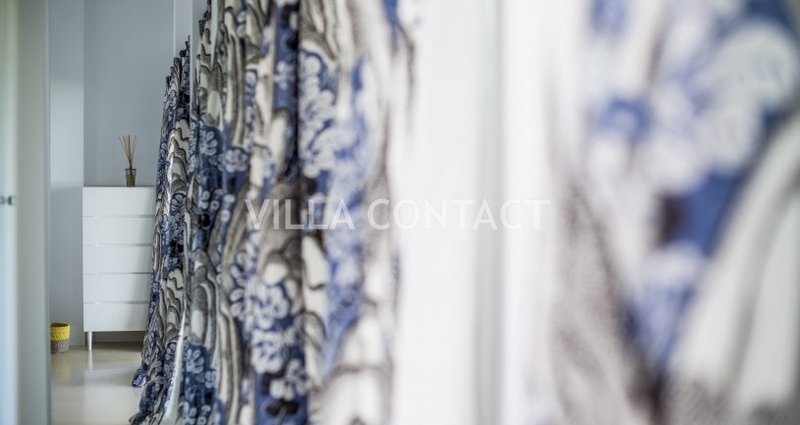 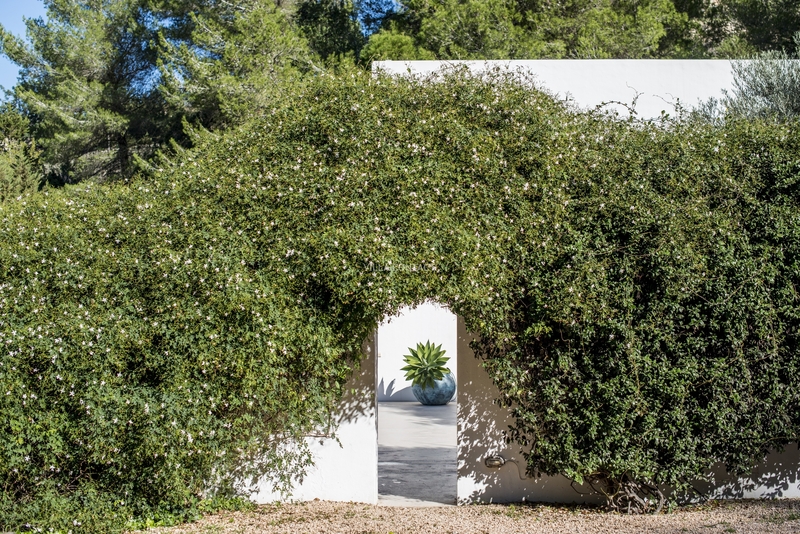 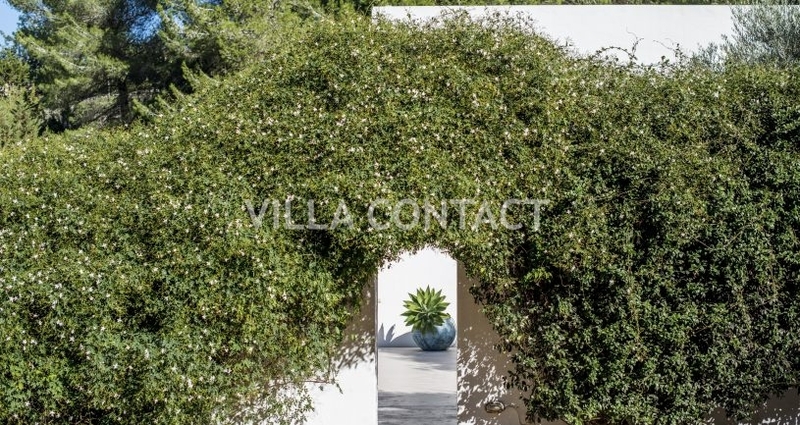 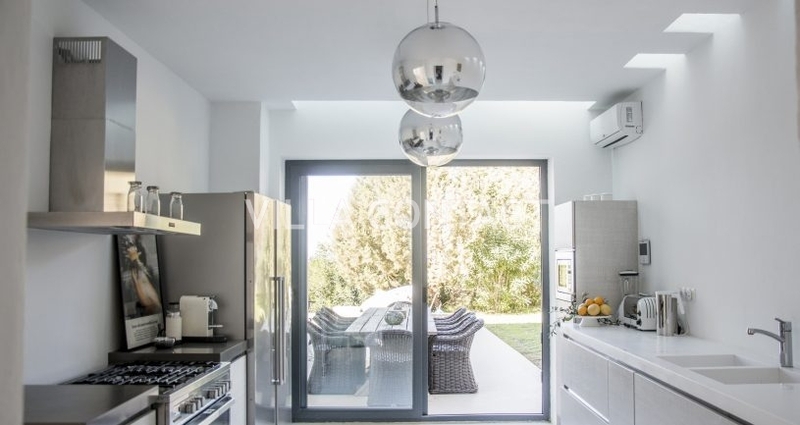 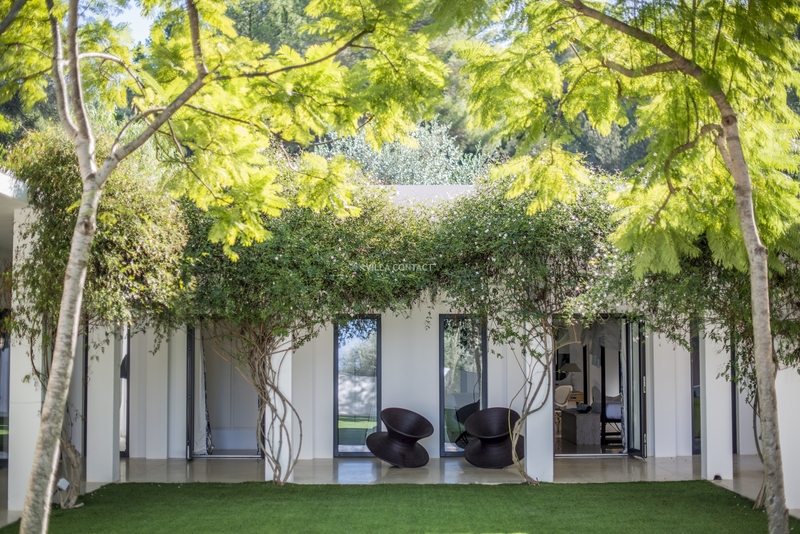 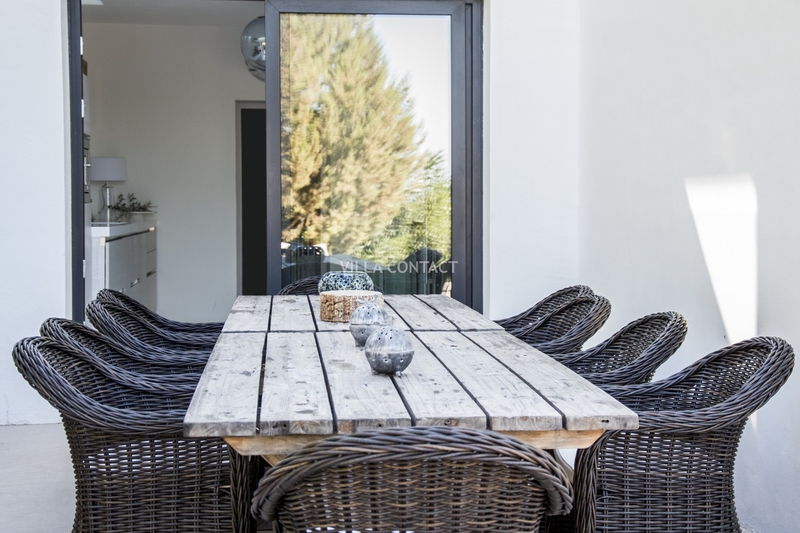 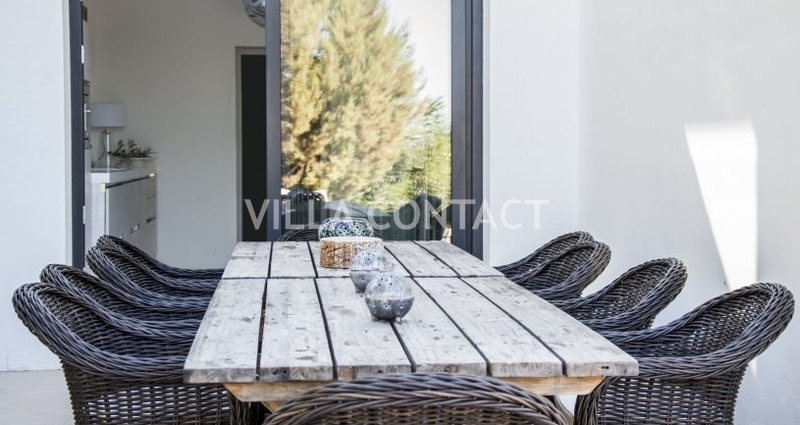 The upper part of the house is self-contained with double rooms opening onto a grassed courtyard planted with jacaranda trees and jasmine bushes. 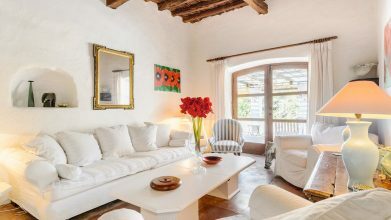 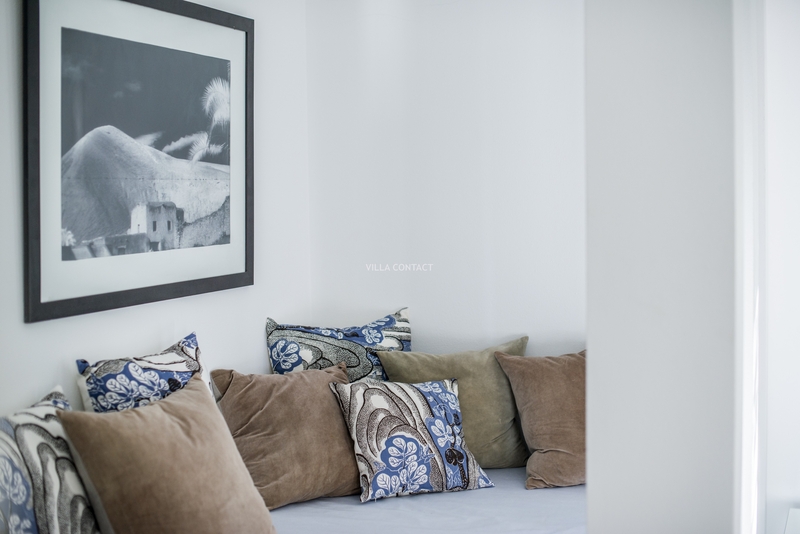 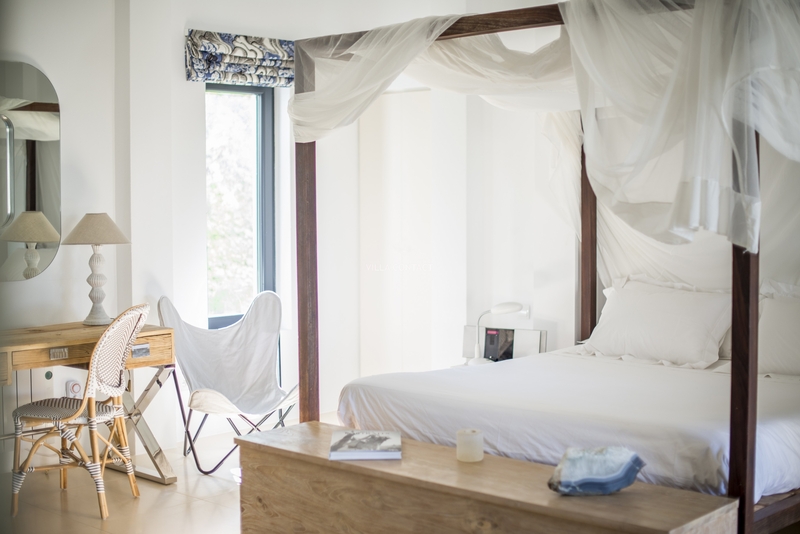 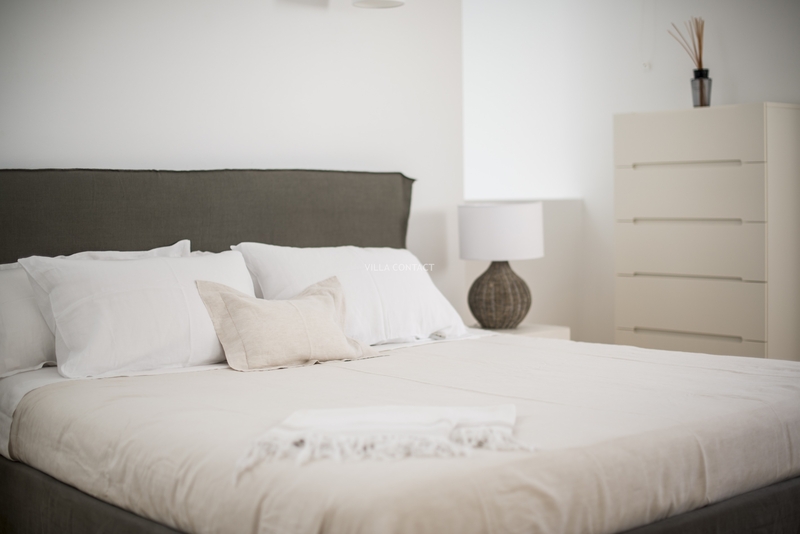 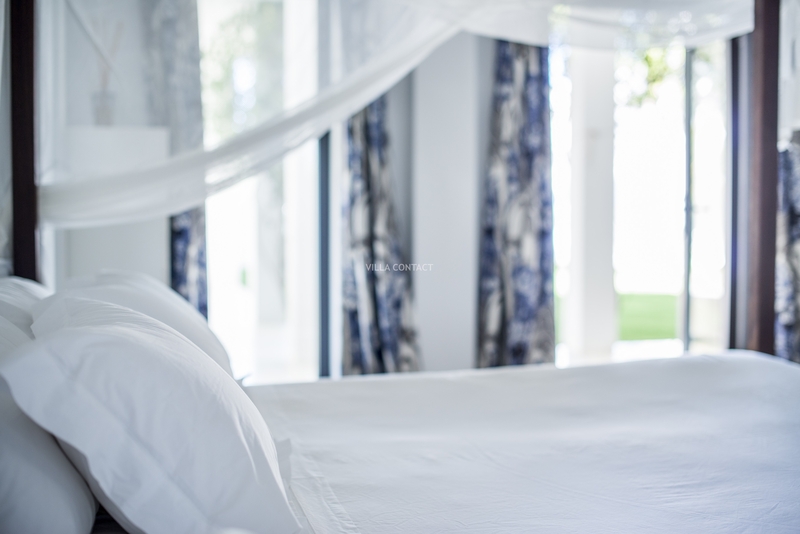 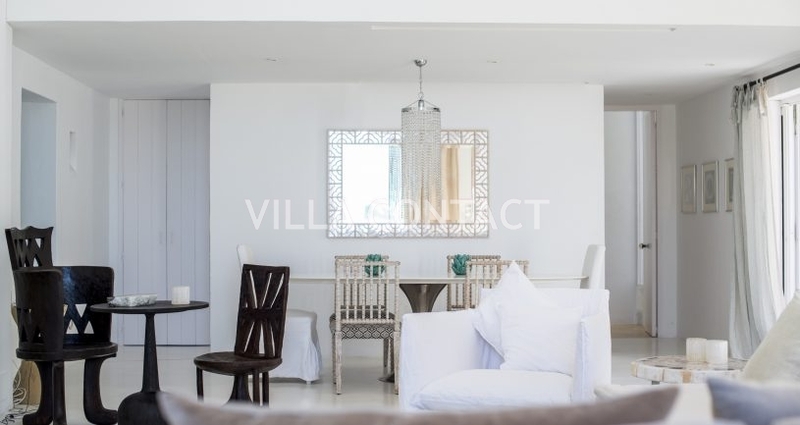 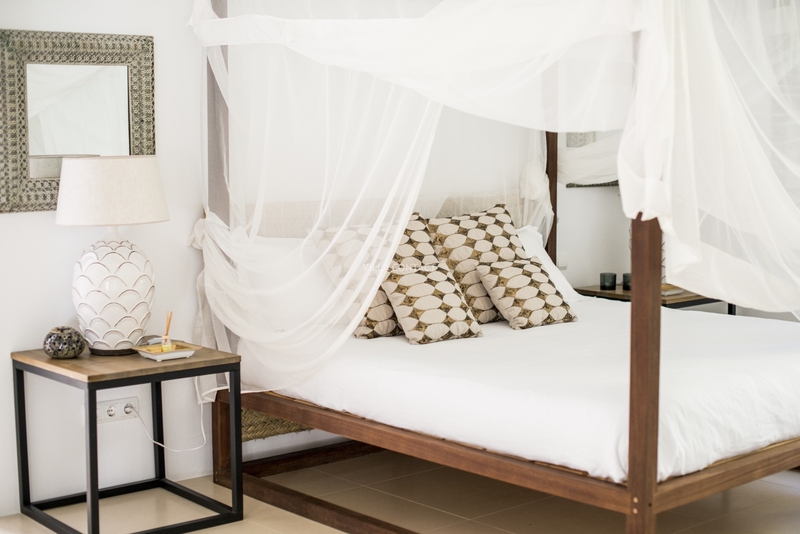 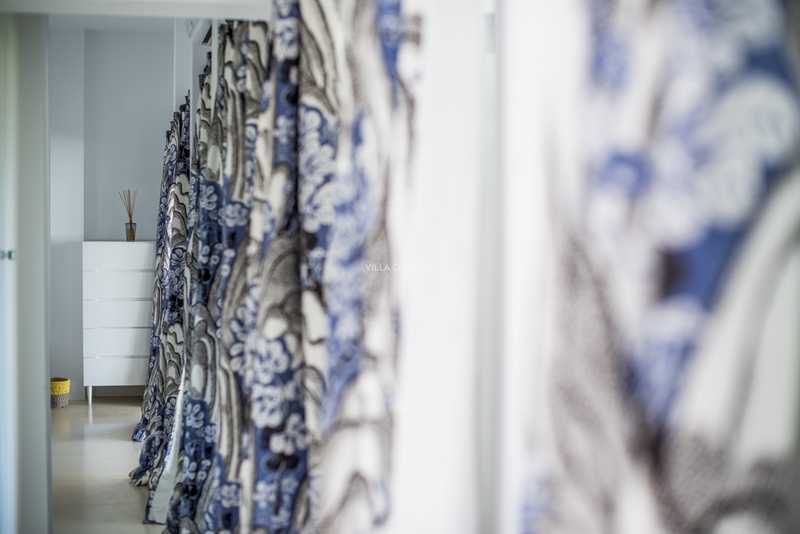 4 double bedrooms lead off a covered veranda which surrounds the courtyard; each room with its own ensuite bathroom. 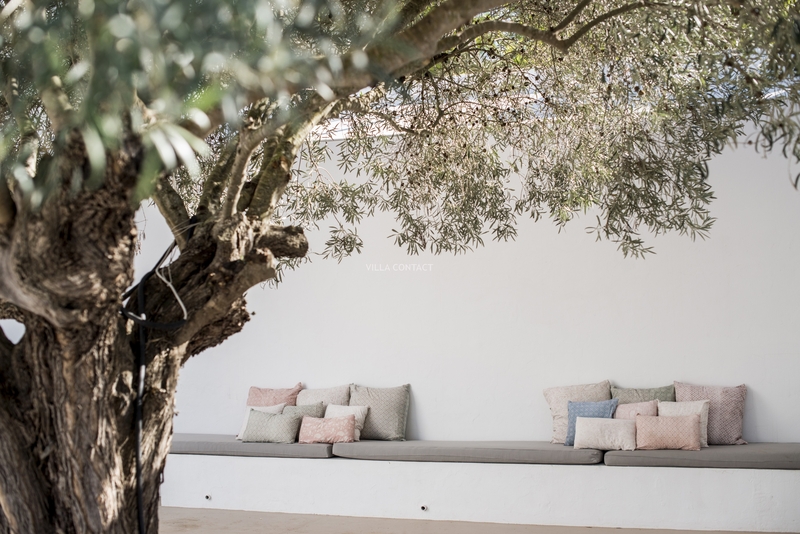 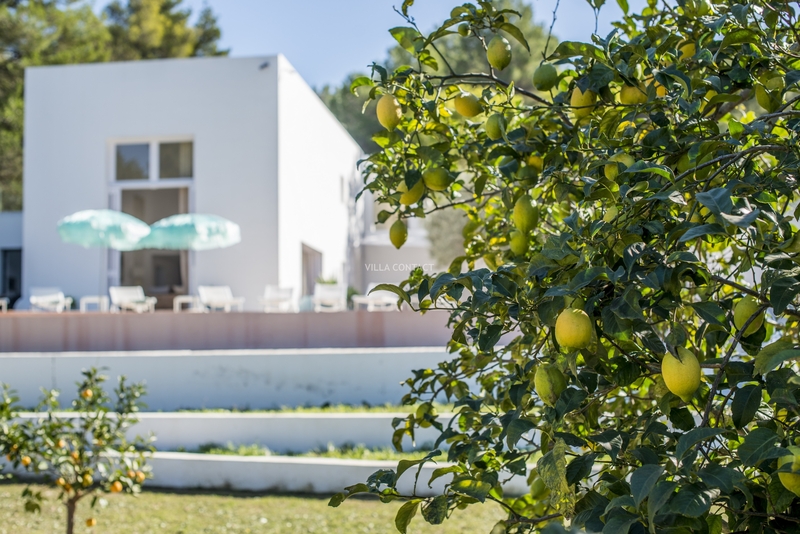 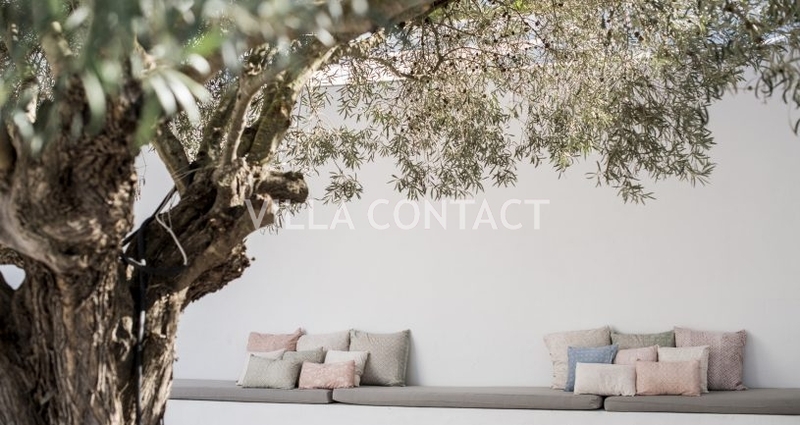 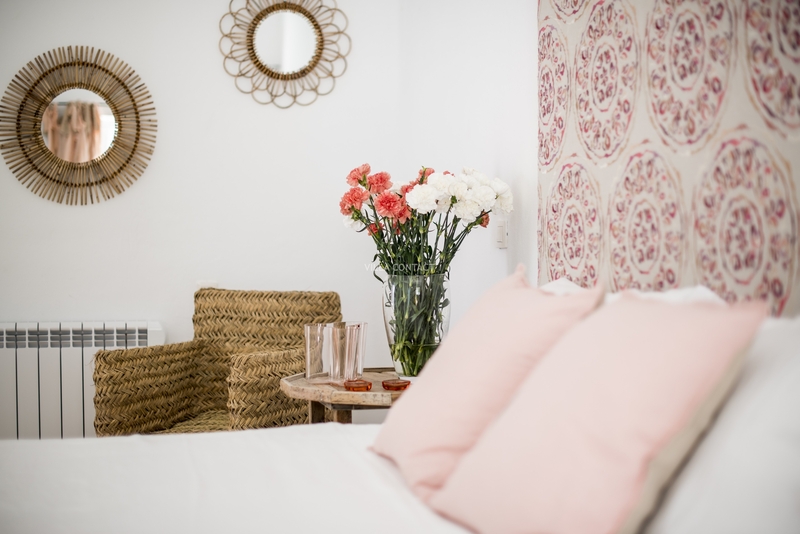 The extensive grounds and terraces are planted with figs, olive trees, orange trees, lemon trees, almonds, quince, ornamental shrubs, bushes and native Sabinas.